Deakin is among the Top 3% of universities worldwide, according to every major international rankings organisation (Times Higher Education, QS and ARWU). Both QS and Times Higher Education have ranked Deakin among the Top 50 universities under 50 years of age – an acknowledgement of the University’s rapidly growing renown and research capabilities. An award-winning university, Deakin was named the 2014 International Education Provider of the Year by the Government of the Australian State of Victoria. Deakin offers a wide range of undergraduate and graduate degrees in areas such as Architecture, Business, Communication & Creative Arts, Engineering, Health, Humanities, Information Technology, Law, Psychology, Science, Sport and Teaching. Three of Deakin animation students have been selected to show their works screened to hundreds of visitors and members of the animation industry.at this year’s Melbourne International Animation Festival. The Deakin students’ works were selected from a record 3,550 entries from more than 40 countries. 450 short films will be screened during this year’s festival. And, History Lesson, is a collaborative project created by a group of second year students. incredible opportunities to learn alongside some of the world’s best animators. The recent Pixar Artists’ Masterclass was one such example where students worked with world renown animators. Deakin University has helped to cement Melbourne’s reputation as an international sporting powerhouse by ranking in the top three Sports Management Masters degrees across the globe. According to the prestigious Sports Business International(SBI), which has three times named Melbourne the sporting capital of the world, Deakin University students are the highest paid sport business masters graduates on the planet. The Sport Business International 2014 Postgraduate Sports Course Rankings annually grades the quality of 70 Sport Management Masters courses around the world. Deakin this year came in at number three and was the only Australian university in the top 25, ranking as Australia’s number one university for sport management. The SBI rankings found graduates of Deakin University’s Master of Business (Sport Management) course have the highest average salaries three years after graduation, compared to their peers around the globe. According to the SBI rankings, Deakin’s graduates earned on average US$84,000 a year three years after finishing their students, compared to US$79,000 for students from University of Oregon Warsaw Sports Marketing Centre and US$76,100 for students at Ohio University Master of Sport Administration. Deakin Vice-Chancellor Professor Jane den Hollander said the University jumped four spots from last year’s seventh placing, coming it at number three after Switzerland-based International Centre for Sports Studies’ (CIES) FIFA Master program and Ohio University’s Master of Sports Administration. Deakin ranked number two for the Professors’ Choice award. “This is an outstanding outcome and affirms the employability of Deakin graduates. It places Deakin’s Master of Business (Sport Management) firmly among the world’s most recognised sporting institutions,” Professor den Hollander said. “Deakin is extremely proud to have achieved this highly recognised honour, which reinforces that we produce the best and brightest sports minds in the world right here at Deakin in Victoria. “It is testament to the hard work and commitment of our staff, students, industry experts and academic leaders within the School of Management and Marketing, which is a key part of our Faculty of Business and Law. “The course is complemented by the work of our School of Exercise, Nutrition and Sport Science, in the Faculty of Health, enabling Deakin to have deep genuine excellence in all aspects of sport management, sport science and exercise and nutrition. “This honour also comes hot on the heels of Deakin being ranked number one in Victoria, among the top ten in Australia and number 59 in the world by the Times Higher Education’s list of the world’s top 100 universities under 50 years old. 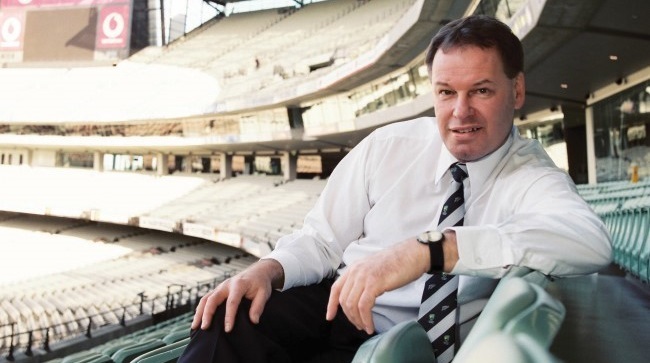 Deakin Chair in Sport Management Professor David Shilbury said SBI also ranks the world’s sporting cities through the Ultimate Sports City Award, which Melbourne has won three times – In 2006, 2008 and 2010. “It is no coincidence that Deakin’s Master of Business (Sport Management) has now also climbed towards the top of the rankings system,” Prof Shilbury said. “Awards such as this one are not only about rankings and certificates, they help to reinforce that we reach our goals in equipping our students with the education they need to be competitive and successful throughout their careers. “By matching our students with key industry leaders we will ensure our graduates are work-ready, responsive to changing economic needs and equipped with the intellectual firepower, capacity and skills that will prepare them for a future we can only begin to imagine. “The sporting industry across the globe is extremely competitive, from the sports field to the classroom and to the workplace, and this award recognises that Deakin prepares the best and the brightest to be leaders in their field. Have you thought about a becoming an expert in human behaviour? Does studying the human mind, its processes, behaviour and mental states excite you? Do you want to develop an expert understanding of human personality, behaviour, emotion, underlying mental processes and the factors that lead people to differ in the way they think and behave? Have you thought of a career in psychology? There is an increasing emphasis on mental health in the modern world and employment opportunities in the area continue to grow. Qualified psychologists can work in arrange of settings, including clinical, forensic, organisational, educational, health and many other specialised areas. You don’t have to go on to full registration as a psychologist to enjoy the benefits of studying psychology. Your understanding of human behaviours and the skills that you develop throughout your study will open up a vast array of employment opportunities. 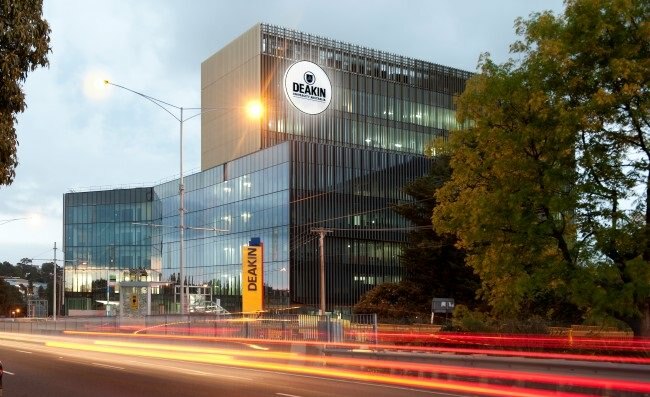 Computer Science at Deakin University has been ranked within the top 101-150 in the world, in the 2015 Academic Ranking of World Universities (ARWU). This ranking reflects Deakin’s serious commitment and investment in research excellence over the past five years, particularly in the areas of data analytics, machine learning and cyber security. The Computer Science ranking was one of two milestones for Deakin this year, with the University also being included in the top 400 in the ARWU for the first time. Every IT student at Deakin undertakes an internship, providing you with an opportunity to apply your learning and gain valuable industry experience which is credited towards your degree. An internship enables you to experience a professional work environment, develop professional networks and explore career opportunities before you graduate. High achieving students also have opportunities to apply for full-time, part-time or short-term industry-based learning placements, with industry-funded scholarships on offer. Graduates will be highly sought-after for employment in a range of areas including software development, system analytics, business analytics, software engineering, database development and administration, new technology research, project management, solutions architecture and systems programming, Big Data, data communications and management. Deakin has four campuses in three unique communities across the Australian State of Victoria – one in Melbourne, 2 in Geelong and 1 in Warnambool. Take a moment to learn a bit about the places you would call home as a Deakin student. Each Deakin location offers a unique atmosphere and study environment. Work experience plays a critical role in developing graduates’ employability, and students undertaking courses offering placement and internship experiences are highly sought after by employers. international students. The award-winning Deakin Jobshop International Internship Program is a competitive program to place international students in work experience opportunities with Australian businesses. Vice-Chancellors International Excellence Scholarship: 100% and 50% tuition fee reduction, plus accommodation guarantee, relocation allowance, leadership program and bookshop voucher. Deakin International Merit Scholarships: 25% tuition fee reduction, plus relocation allowance and bookshop voucher. Worried that you won’t qualify for a degree at Deakin University? Deakin College (formerly known as MIBT)– can provide you with the pathway you need to get into Deakin University. Deakin College (formerly known as Melbourne Institute of Business and Technology – MIBT) has helped more than 15,000 Australian and international students progress into a Deakin University degree program. With flexible study options, students can commence in March, June or October and complete it in eight or twelve months. Do you need help meeting Deakin’s English language requirements? Or do you want to improve your English and study skills before starting your degree? DUELI can help you improve your English and prepare you for study at Deakin by successfully completing one of DUELI; English language programs. study skills and become familiar with studying at an Australian university. DUELI is part of Deakin University and DUELI students have full access to all of Deakin’s facilities and services. This includes libraries, health and counselling services, and Deakin’s sport facilities.